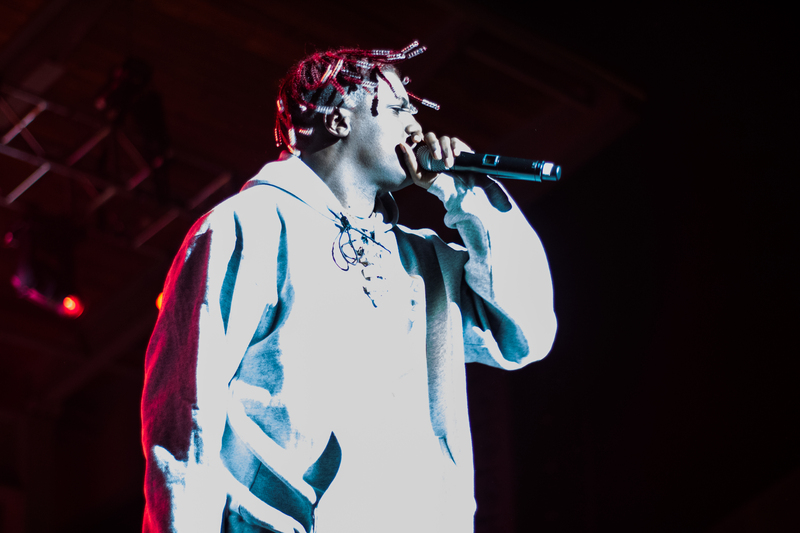 Rappers Lil Yachty and Desiigner performed at the April 14 Dooley’s Ball concert, attracting a crowd of about 2,600 people, according to Student Programming Council (SPC) President Tamara Ezzat (18B). Doors opened at 8 p.m. and Desiigner, the opening act, came on stage at about 9:24 p.m. He performed popular hits including his 2016 singles, “Overnight,” “Panda” and “Tiimmy Turner.” Throughout the performance, Desiigner interacted with the audience by crowd surfing and bringing audience members onstage to dance with him. This year’s Dooley’s Week concert attendance fell short of last semester’s Post Malone performance, which reached the maximum capacity of 4,500 people. Emory Emergency Medical Services (EEMS) responded to 10 incidents at the concert, according to EEMS Director Rachel Barnhard. Yasmin Toy (21C) said that she attended the concert to relax after a week of classes. “I’m here to be with other Emory students and have fun after a long week of suffering in classes,” Toy said. Brian Fleischer (20B) said that although he enjoyed Lil Yachty’s performance more than Ty Dolla Sign’s 2017 Dooley’s Week performance, he enjoyed Post Malone’s performance more. “Lil Yachty was definitely a lot better than Ty Dolla Sign, but not as hype as Post Malone,” Fleischer said. Kenyanna Taylor (16Ox, 18C) said that she thought both performers did well. Correction (4/17/18 at 8:40 p.m.): The headline previously stated that about 2,800 people attended the event. The headline has been updated to correctly reflect that about 2,600 people attended.